We all know very well that the tech giant Microsoft has developed Windows 10 on a series of versions and platforms. As it always seeks to satisfy all its users and their needs. However, now according to the latest reports, recently, the tech giant Microsoft to launch a new version of Windows which will simply beat the tech giant Google’s ChromeOS. The tech giant Microsoft has in its most used and the latest version of Windows, of course, I am talking about none other than the Windows 10 the center of all its projects in terms of operating systems. As it works much more than the operating system for personal computers, the tech giant Microsoft also took this system to XBox and even to mobile devices as well. But the company, of course, I am talking about the tech giant Microsoft wants to offer even more and data begin to show that there is yet another project on the way. Yes, I am talking about a new operating system, which is named as Windows Lite and will be coming soon as we told. However, still we don’t have much concrete information about this new version of Windows OS of the tech giant Mircosoft, but everything points to the tech giant Microsoft might be preparing to release this new version of Windows in the near future which is named as Windows Lite as we told earlier and not only that even this new version of Windows should be designed to compete directly with the tech giant Google’s well-known operating system, of course, I am talking about none other than the ChromeOS. 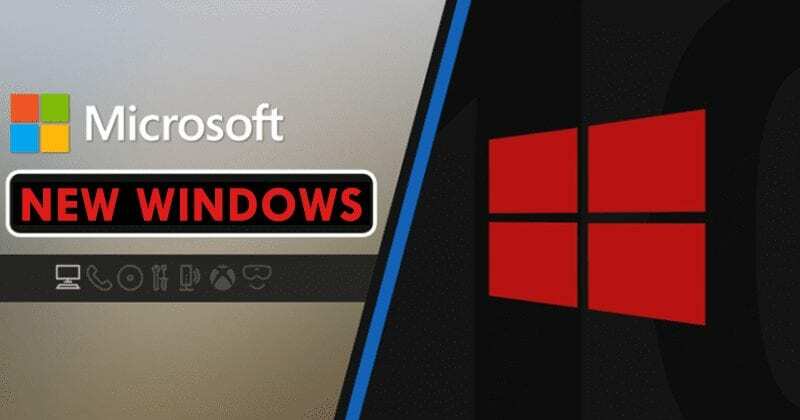 While for now the all-new version of the tech giant Microsoft’s Windows, which is named as Windows Lite still only appears in some areas of Windows code but it is already a constant presence, showing that soon it will arrive, apparently in a new device, such as Centaurus about which we talked here. The basic idea behind this new version of the tech giant Microsoft’s Windows, which is named as Windows Lite is to offer a much lighter and smaller alternative to Windows 10. It will be an alternative to what the tech giant Microsoft’s Windows 10 S currently offers but without any additional service component. After the experiments with Windows 10 S, this new version of the tech giant Microsoft’s Windows, of course, the all-new Windows Lite will focus even more on simplicity, running only PWA (Progressive Web Apps) and Universal Windows Platform (UWP) apps. In this way the all-new version of the tech giant Microsoft’s Windows, of course, Windows Lite will only have access to the tech giant Microsoft’s own store (Microsoft Store) and will be focused on apps for education, an area where the tech giant Google’s Chrome OS has been conquering its space. There is still no certainty of choosing the name Windows Lite for the new version of the tech giant Microsoft’s Windows as it may be just an internal code from the tech giant Microsoft, but the truth is that the company should adopt a unique designation to differentiate this new version of Windows which is named as Windows Lite. Moreover, there is still no scheduled date for the arrival of this new version of Windows, but it is most likely to be featured in Build 2019. So, what do you think about this? Simply share all your views and thoughts in the comment section below. If you are not trying to hit a minimum word count, can you please stop calling them “the tech giant Microsoft”, and “the tech giant Google”? Since everyone on the planet knows who they are, because they are tech giants, you don’t have to call them that every time you refer to them.